The color white often represents purity, but AmericanMuscle customer Jeremy Duffy’s 2015 Mustang GT may be an exception. 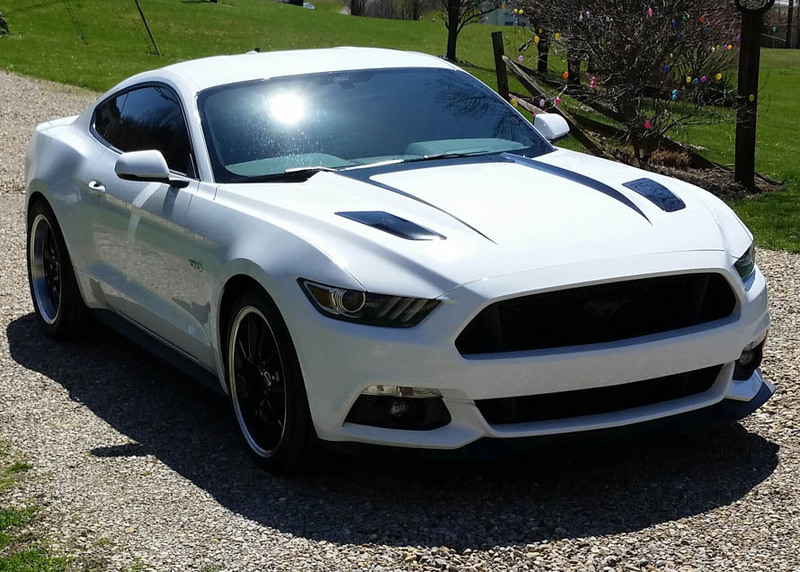 His Oxford White ‘Stang is a mean one with upgrades to improve its airflow, sound, and ride quality. 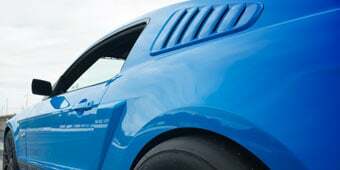 Jeremy’s GT is an HP-tuned Pony car featuring high performance tires with black wheels, long tube headers, a cat-back exhaust, and a cold air intake. 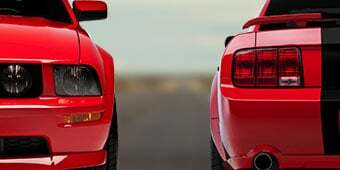 From a stand still, his Mustang may look similar to others on the road, but once he steps on the gas, the differences will be known. When looking for ways to improve the performance of his 5.0-liter Coyote engine, Jeremy came across Stainless Works’ Long Tube Catted Headers. These headers greatly improved the exhaust flow of his 2015 GT over the restrictive stock manifolds. The 1-7/8” mandrel-bent, 304 stainless steel tubing provides superior airflow and is TIG-welded for added durability. These free-flowing headers are specifically intended for off-road track use. Jeremy chose the Stainless Works 3-inch Retro LMF Cat-Back Exhaust to match his headers and for its old school rumble and reliability. 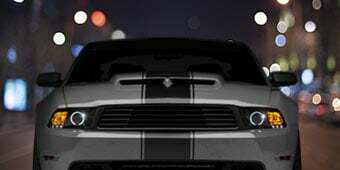 The classic x-pipe design allows for a smoother exhaust flow and better engine efficiency, while also providing that unmistakable, exotic muscle car sound. 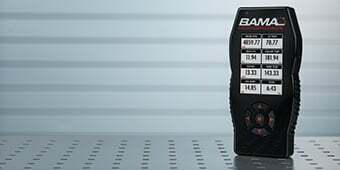 Included are two 3-inch core retro mufflers and two 3-inch core resonator tips combined to provide an especially loud exhaust note. This exhaust also features 3-inch mandrel-bent tubing to give his GT’s exhaust gasses a larger and smoother outlet. 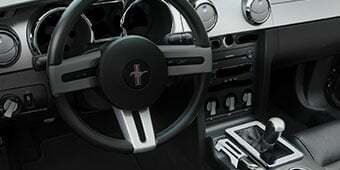 Not only does this system enhance the sound and power of his Mustang, but it includes two perfectly polished, stainless-steel, slash-cut, conical, double-wall exhaust tips. 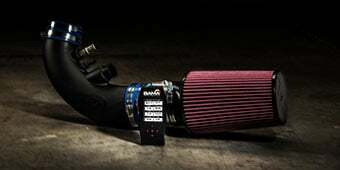 To gain even more power and performance from his GT, Jeremy opted to install a JLT Performance Cold Air Intake. 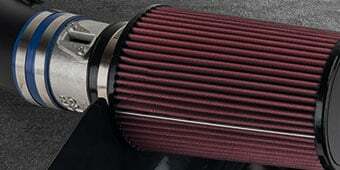 This intake includes a molded ABS plastic heat shield that helps block out excessive engine heat at low speeds and at idle, which can rob your car of power. The standard OEM black textured material also dresses up the engine bay for an elevated appearance. This kit comes with a high flow, reusable, oiled air filter so there’s no need for Jeremy to go out every few thousand miles and purchase a new one. He can just clean the filter, re-oil it, re-install and save money. Jeremy paired his tires with a set of 20x8.5 FR500 Style Black Wheels. 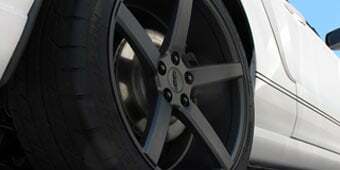 The modern split “Y” spoke styling found on the FR500 Mustang is a desirable one, especially on an S550 Pony car. The race inspired FR500 wheels give off that track ready vibe, but are street friendly at the same time. 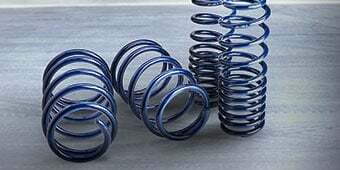 Your car will look like it’s on the track ready to burn some rubber even when your wheels aren’t moving. Their sleek gloss black finish gives off a shiny, yet aggressive appearance bound to turn some heads. The FR500s feature a bright machined lip with deep dish styling for a high contrast and accented appeal. Not only that, but the durable clear coat finish provides added protection against road chips and pitting, so Jeremy can enjoy pristine wheels even with hazards of daily driving.